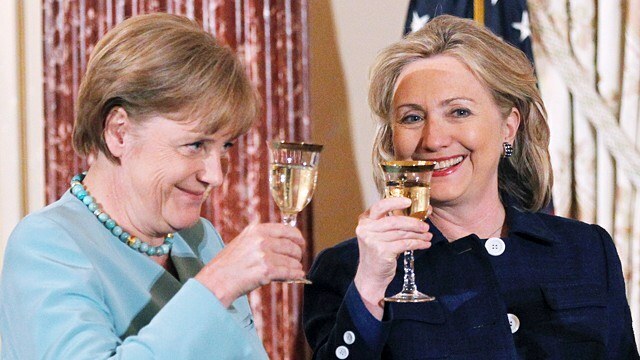 Trainwreck Angela Merkel told reporters after the G7 meetings Germany can no longer depend on Donald Trump. Guess she will have to destroy Europe and Germany all by her lonesome. German chancellor Angela Merkel distanced herself from the US and the UK during a campaign event in Munich on Sunday. Though she did not mention them by name, Merkel was most likely referring to the fractured relationship Germany now shares with the US, as well as with the UK post-Brexit. Awesome. He opposes your raging stupidity. More… Mathieu von Rohr has the video — and a different take on her statements.